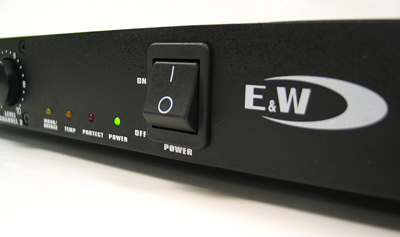 The E&W PS-802 amplifier delivers a nice level of power performance for its small size and lightweight physical characteristics. 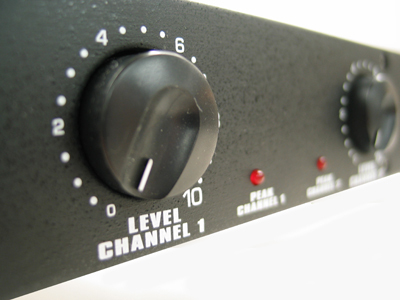 This is a high efficiency H class amplifier with a switch mode power supply (SMPS). 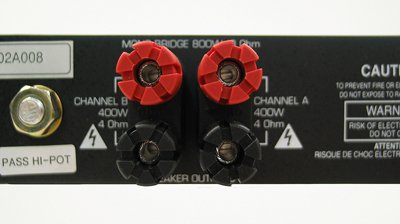 The durable construction combined with the quality design and manufacturing yields a highly reliable amplifier when operated within the manufacture's suggested parameters. 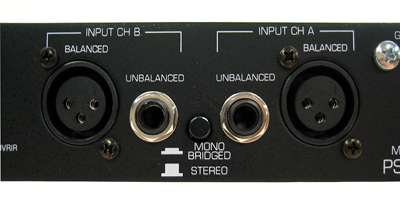 This amplifier is designed for standard 19 inch rack mounting. The short 1U (1.72") and lightweight 15.2 lbs. combined with the high efficiency of the SMPS design makes this amplifier a good choice for those who need good performance in a small efficient package. 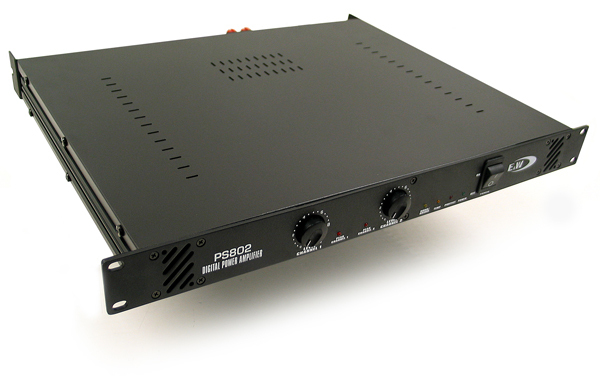 The PS-802 is equipped with common professional grade features, including balanced XLR inputs, banana post outputs, DC fault sensing, forced fan cooling, over temperature protection, and back support ears. Applications where high performance is required with a small, lightweight, and efficient amplifier. 14 1/2" deep from front panel to back rack brackets. Warranty: 3 years covering mfg. defects. Warranty does not cover misuse, operator error, or damage. Warranty service must be administered at an E&W factory authorized service center. Cooling: Front to back, variable speed fan forced. Power requirement: 117V ac, 1000w max draw.